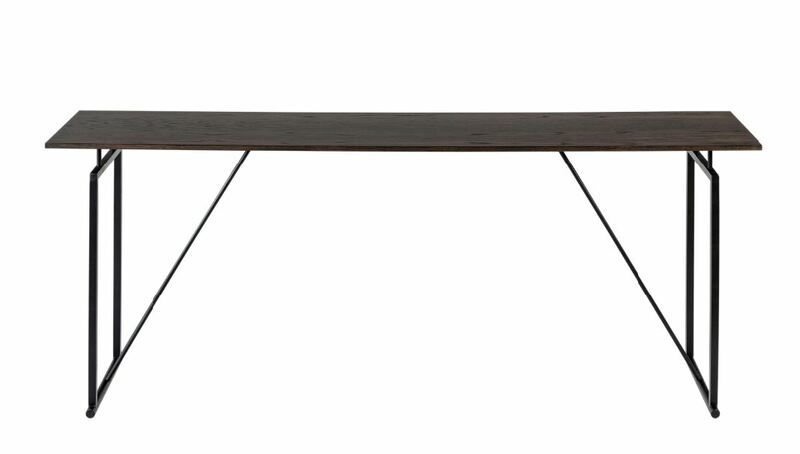 The Arthur console/dining table has a sleek industrial feel to add texture and elegance to any environment. The metal iron base contradicts itself by being both square and round. 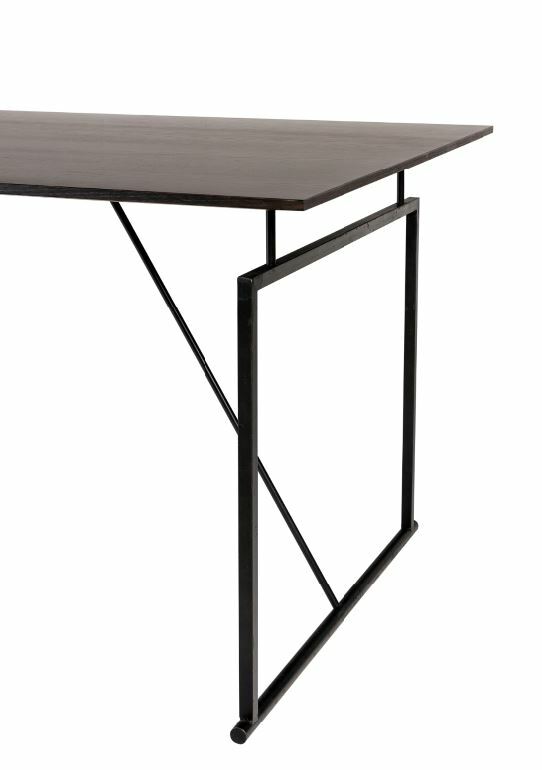 Adding the negative detail allows the table to offer a floating effect. 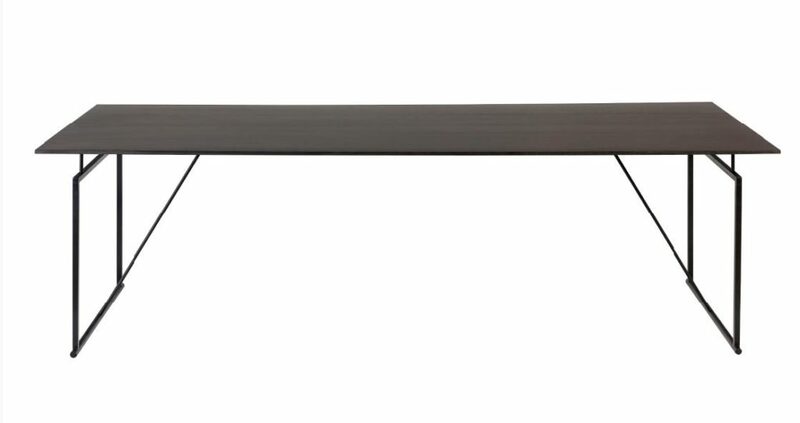 The legs can be moved to accommodate carver seats if required – please contact our sales team for more information. Top is oak veneer with a stain finish.